Earth Day is all about celebrating Mother Earth, and in Wisconsin, there are plenty of ways to honor her on this day. These Wisconsin events help inspire action toward the continued protection of our beloved planet. Join in all the events that are celebrated throughout the day and give back to the environment! The Earth Day Service Fest is a free event for the entire family. Help prepare and plant in their organic garden beds and make a nesting bag for the birds. Take part in grounds clean up and aid in invasive species removal from their trails. Those registered will be provide with a free lunch. The Annual Nelson Institute Earth Day Conference located at the Monona Terrace is a perfect way to celebrate Earth Day. There are movies shown throughout the day to help stimulate societies environmental challenges. There are five great speakers lined up for a wonderful day of education. 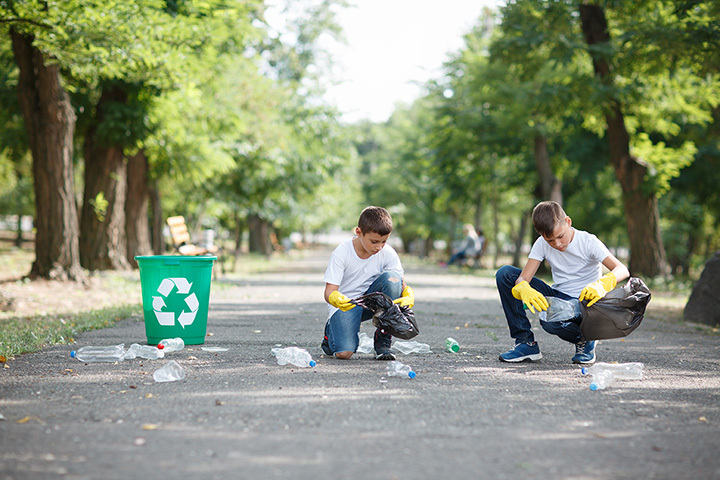 Join in the fun for Earth Day Clean-Up at Mead Wildlife on their spring cleaning day. Help “spruce up” the wildlife areas and rejuvenate these natural spaces. The Mead Center will offer a tasty lunch for reward of your hard work. Check out the Earth Poets and Musicians located at The Coffee House Milwaukee. A donation is requested at the door and it’s something you won’t want to miss. The band will wow you with their devotion to the earth by providing entertainment in the form of wisdom, irony, humor, music and more. The Victory Garden Initiative is dedicated to helping communities grow their own food. By bringing the community together as a social event rather than a job, those involved with the Victory Garden Initiative can provide nutritious food for everyone. There are always events leading up to Earth Day to participate in, or join the fun by volunteering. The Earth Day Dash is a great way to get the kids involved. Kids will start their run in mid-morning and will have six different stations throughout the race that the kids will stop at. Sack races, healthy food picking, tree watering, and more! Get the kids excited about Earth Day by joining the Earth Day Dash. Celebrate Earth Day by joining American Family Insurance sustainability team with DreamBank. In the morning, kids will get the chance to make and take home their recycled bird feeders. Start a new family tradition together—one for the whole family! Volunteers are always needed and welcomed at Stower Sevens Lakes State Trail. The task force will be cleaning up the trail and the surrounding area. Volunteers will be picking up litter and putting some much-needed elbow grease into their flower beds. New to the itinerary this year at the Memorial Union—Terrarium Building. The course costs about twenty dollars and is open to all ages. They supply all the necessities that you will need to take your plants home at the end of the night! Have a little fun by channeling your creative side. Participate in the 5K Run/Walk located at Physicians for Women ion Fitchburg, Wisconsin. Proceeds go to H&H Foundation, a charity devoted to giving back to the community. The project is 100 percent volunteer-run, so you can be confident that 100 percent of the funds raised will be going directly to helping those in need.